WASHINGTON (May 15, 2017) – (RealEstateRama) — After a slip in business in 2015, the National Association of Realtors® Member Profile found that the income and sales volume of Realtor® members increased in 2016. The median gross income of Realtors® increased 8 percent in 2016 as the typical member had the highest number of transactions in recent years. Despite Realtors® continuing to cite inventory shortages, transactions grew to 12 per agent, the highest since 2014 when the typical agent had 11. The median sales volume for Realtors® also grew from $1.8 million in 2015 to $1.9 million in 2016. Median income increased too, from $39,200 in 2015 to $42,500 in 2016; the median gross income of Realtor® households also increased from $98,300 in 2015 to $111,400 last year. The Member Profile is representative of the nation’s 1.2 million Realtors®; members of NAR account for more than half of the approximately 2.2 million active real estate licensees in the U.S. Realtors® go beyond state licensing requirements by subscribing to NAR’s Code of Ethics and Standards of Practice and committing to continuing education. Lawrence Yun, NAR chief economist, says business activity for Realtors® grew last year because of higher demand, even amid a rise in membership. 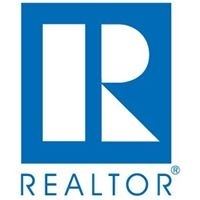 “The return of pre-recession market levels and rising home sales and prices have led to increased business activity among Realtors® and an increase in Realtor® membership. It is a highly entrepreneurial business, with some members earning six-figure incomes while others were barely scratching out less than $10,000,” Yun said. $73,400 in 2015) and had 15 transactions, the same number as 2015. Realtors® with 2 years or less experience had a median gross income of $8,930, an increase from $7,400 in 2015, and had 4 transactions. Income also varied by license type, as members licensed as brokers earned $69,640 in 2016, while the median earnings for sales agents was $31,670. In the past year, there was a continued rise in new members, from 1.16 million Realtors® in March 2016 to 1.22 million in March 2017. The typical member has 10 years of real estate experience (unchanged from a year ago). Younger members continue to enter the industry, as this year’s survey found that 28 percent have less than two years of experience, an increase from 17 percent in 2015. Members with less than one year of experience made up 20 percent of membership, an almost 10-percentage point increase from 2015. Broker-owners, managers, and appraisers had the most experience, while sales agents were typically the newest to the field with six years of experience. “It has become evident over the last few years that individuals are realizing the many benefits and business opportunities that working in real estate provides. The increase in business Realtors® are experiencing reflects the continued value they bring to their clients and communities across the country,” said NAR President William E. Brown, a second-generation Realtor® from Alamo, California and founder of Investment Properties. Despite more younger members joining the association last year, the median age of Realtors® remained at 53 again last year; the lowest median age was in 2008 at 52 years. “The leveling in age may be attributed both to older members retiring and to more new, younger entrants to the business,” Brown said. This year, only 30 percent of members are over 60 years old, and 4 percent are less than 30 years old, which is consistent with last year. Twelve percent of members who have two years or less of experience are under 30 years of age. The typical Realtor® is a 53-year-old female who attended college and is a homeowner; women represent 63 percent of Realtors®, accounting for 58 percent of brokers and 67 percent of sales agents. Sixty-five percent of members are licensed as sales agents; 22 percent are brokers, and 15 percent are broker associates (some hold more than one license). Thirteen percent of members have one personal assistant, while 3 percent have two or more personal assistants. According to the survey, there are multiple factors that limit potential clients in completing transactions. The top reason cited by Realtors® was difficulty finding the right property (36 percent), housing affordability (16 percent), and difficulty in obtaining mortgage financing (14 percent). “Limited inventory and rising prices were large factors affecting the real estate market across the country over the last year, so it is no surprise that these same market conditions were cited in the survey as having the largest impact on Realtors®’ ability to help their client complete a transaction.” said Yun. Repeat business and referrals continue to be important sources of income for Realtors®, especially those with more experience. Realtors® with 16 or more years of experience reported 61 percent of business was from repeat customers or referrals. Over half of Realtors® report that they work for an independent company. Fifty-six percent of those are licensed as brokers and broker associates, down 4 percent since 2015, and 48 percent are licensed as sales agents, also down 4 percent since 2015. Nearly nine in 10 members are independent contractors at their firms. The 2017 National Association of Realtors® Member Profile is based on a survey of 165,424 members, which generated 12,685 usable responses, representing an adjusted response rate of 7.7 percent. Information about compensation, earnings, sales volume and number of transactions is characteristics of calendar year 2016, while all other data are representative of member characteristics in early 2017.